Well, that was fun! Thanks to all the folks who stopped by our booth at the 3G Expo yesterday. For those of you who couldn’t make it, here are a couple of pictures of the booth, along with Danielle Forrester and my friend Dan Allen. I was there too, but I was the one taking the pictures, so, um, I’m not in them. 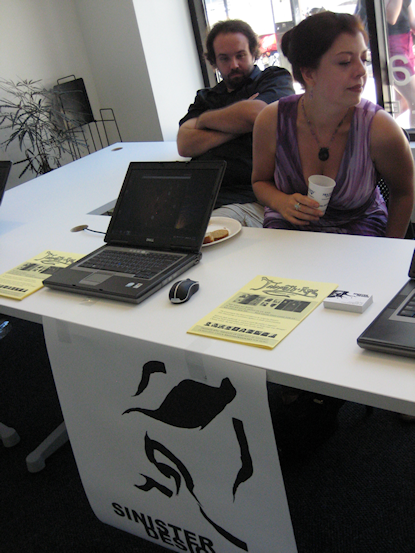 You’ll note stacks of TSoG flyers sitting on the table. You can nab yourself a copy of the flyer right here if you’re curious. 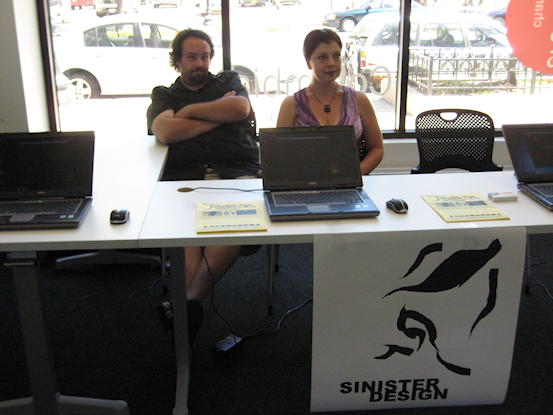 This entry was posted on Monday, August 16th, 2010 at 9:30 AM and is filed under Fan Stuff, Sinister Design News. This post is tagged convention appearances. You can follow any responses to this entry through the RSS 2.0 feed. leave a response or trackback from your own site.